Cisco router is increasingly preferred by more IT professionals over hardware by other brands. From small businesses to global enterprises, more organizations depend on Cisco routers to run their networks smoothly and reliably. Power – Other routers simply aren’t built for the same circuit speed, capacity or overall performance. Scalability – Today’s businesses need their networks to grow with them, and every Cisco router is designed with this in mind. From small LANs and WANs to integration with remote data centers, these routers are highly scalable, no matter what the need. Cost – Despite being the most sought after hardware, each Cisco router is priced competitively and has additional cost-savings built in. Security – No matter how sensitive the data on your network, security should never be compromised. Cisco builds its routers with the most advanced security technology on the market. Reliability –Out of all the technology in an IT environment, the router is not something you should have to worry about on a daily basis. But unfortunately, routers from other brands are prone to failure and disrupted service – simply because of the way they’re designed. These are just a few reasons why IT managers consistently choose Cisco over other router options. Cisco has been in the game since 1984, so it’s no wonder that their technology continues to outperform their competitors’. 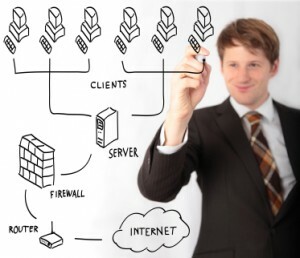 Which Cisco Router is Right for Your IT Needs? Of course, not every Cisco router has the same capabilities. 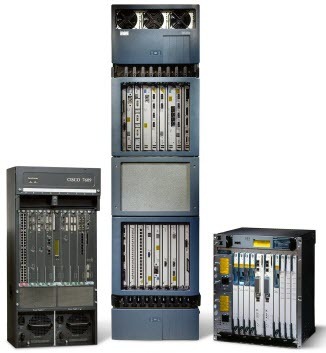 Cisco has developed a comprehensive suite of routing solutions, designed to fit the specific needs of every operation. Routers to look at: Cisco 800, Cisco 1900, Cisco 2900 and Cisco 3900 Series Integrated Services. Cisco WAN routers maximize performance and security across the WANs, no matter how extensive the network. Branch networks and data centers are united seamlessly, giving end-users fast, reliable access to data and applications. The Cisco 7600 Series is an enterprise-class edge router designed to improve operational efficiency and maximize ROI. Features include high-performance IP/MPLS, scalable personalized IP services, integrated, high-density Ethernet switching. Cisco offers a wide variety of other systems, including connected grid routers, small business routers, mobile internet routers, and Internet edge routers, among others. What Are the Basic Cisco Router Commands?